Two men have been sent to prison for defrauding consumers by labelling horse meat as beef. The Food Standards Authority said the sentence 'sends out a clear signal' that food crime will not be tolerated. Andronicos Sideras, owner of Dinos and Sons Ltd, and Ulrich Nielsen of Flexi Foods were sentenced to four years and six months and three years and six months imprisonment respectively at Inner London Crown Court yesterday. A third man, Alex Ostler-Beech, also of Flexi Foods was given an eighteen month suspended sentence. On a number of occasions Mr Sideras, Mr Nielsen and Mr Ostler-Beech had conspired to mix consignments of beef with horsemeat, falsely labelling it as beef and thereby inflating their profits as a result. 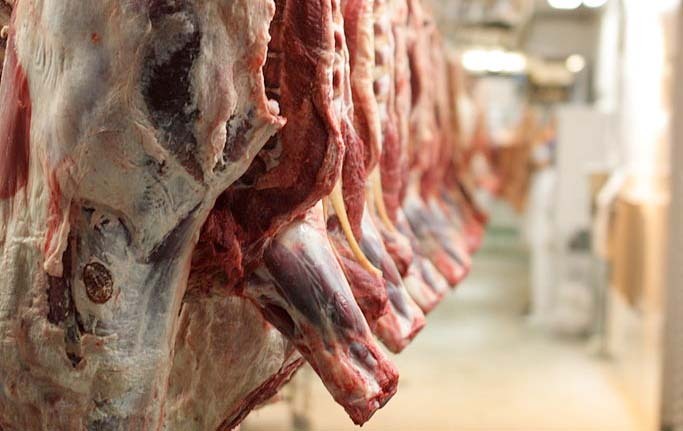 Their crime was discovered after an environmental health officer visited a meat manufacturer in Newry, Northern Ireland. The FSA led the investigation before passing the responsibility to the City of London police in 2013. Heather Hancock, Chairman of the FSA, said: "The sentencing today is the result of an immense effort by individuals in a multi-agency investigation and, as well as the police, I'd like to highlight the key role played by local authorities in securing the conviction. "Today's sentences should act as a deterrent to those who think they can profit from committing food fraud." Judge Owen Davies QC said: "It was not confined to this country, not confined to the firms we have heard about, and it's a big issue for the public to be concerned about, but the fact is it was discovered by accident and only emerged as a problem because of your activity. "It's not a mitigating factor, in my judgement, that other people were at it as well as you." "It's difficult to recall now the conditions that made this horsemeat scandal headline news every day five years ago but it made an impact on the public in general. Prosecutor Jonathan Polnay said the scandal had led to a 'crisis of confidence' in the food supply chain which hit sales.